Google Chrome New Interface is a Tight Slap for its competitors. However, in a recent update, version 69.0.3497.100 has changed the Whole Chrome interface to Light amazing. It is like the next level chrome Browser. And I must say you should update your Google Chrome Browser right now. Well, in this article I will show you the Amazing Screenshots of Chrome New Interface. And also teach you how you can get that Interface by updating your Chrome browser right now. First, let’s talk about Competition! Firefox and Opera Browser has almost made the Chrome into the unknown browser. Both the competitors gave their best by releasing one after one update with something new. And all the updates come in a little gap of the days. In those period chrome stays silent. Maybe they were watching its competitors or doing experiments. But it is looking like Chrome has left the race. Now today date 8/9/2018 has Google Chrome day. Because they proved that they are the best since they born. All the Browser now are in their real position as they deserve accordingly. Now, let me show you some update details of Google Chrome Browser. 0.1 What’s a New update of Google Chrome has Actually Contained? 1 How to Update Google Chrome browser to New Interface 2018 (Version 69.0.3497.100)? What’s a New update of Google Chrome has Actually Contained? Nothing much but a Beautiful Interface with Cute Shapes and Sizes. Google Chrome has really developed, I realized this after updating My Chrome Browser. In a recent update, there are such elements that I can’t expect in a Browser as a geek. And now Chrome implemented it without any tweet or news. That’s made me shocked! I’m not going to announce that features anymore because I’m still in shock. Leave it! Now be honest with you, In Chrome Browser, their much changes happen in the Front face like interface, Icons, etc. At the top of the entire browser, the whole interface has changed as you can see in the screenshot. The Color has changed to light from little black, the spaces have now more adjusted, Tab is looking so beautiful, the address bar is now more friendly. Apart from these, site suggestion icons have changed to simply good. And the most Important, Chrome finally has added the page customization option on the front page. That’s an awesome feature. Now, I have been pretty much shown you the Updates screenshots. It’s time to actually feel it by yourself. How to Update Google Chrome browser to New Interface 2018 (Version 69.0.3497.100)? 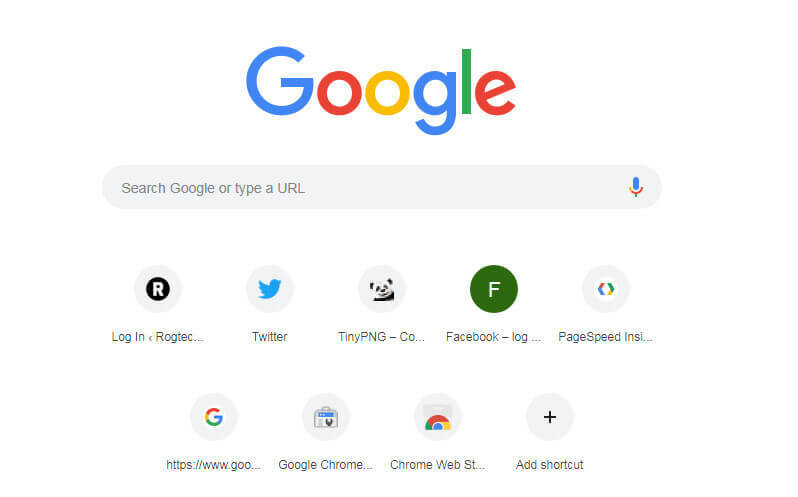 Firstly, Start your Google Chrome Browser and Click to Customize and Control Google Chrome Three dots icon (At the top right corner). After, just drag your mouse cursor to help option and then click to About Google Chrome. Just after clicking on it, Google Chrome start checking the updates automatically. Wait till it gets checking completely done and after just click on Update. Again wait till it gets updated. After the complete update, it will close and restart with the new interface. This is the simple method to update the Chrome browser for the latest update to get the 2018 interface of Chrome browser. If you were not a chrome user but now settled to use then I recommend to download and install the chrome browser from an official installer. Because installing chrome from the Official installer will automatically give you the latest updated browser with a new interface. In the recent update of Google Chrome Browser, there’s nothing much changed except front interface. Interfaces like Search Address bar, Tab shapes, Color being transformed into awesome light. Some new features are also added in the latest version 69.0.3497.100. Features like Page customization shortcut, Round shape icon for recently opened sites, Search bar has been more adjusted and now are super friendly, etc. You can also get the new interface of Google Chrome Browser by updating it. You can easily update it from about Chrome page. So, I hope you got something interesting here? If so, please share with your Friends and family!